Find a Chiropractor Subspecialist Near You! 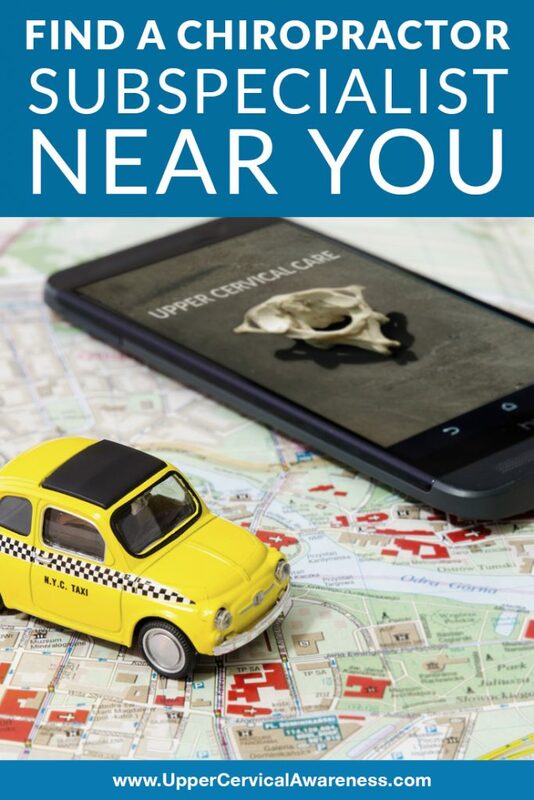 Home/Upper Cervical Chiropractic/Find a Chiropractor Subspecialist Near You! When a man or woman goes to school to be a Doctor of Chiropractic, he or she gets exposed to numerous specialties and subspecialties. While most go on to become practitioners of general chiropractic, others decide to specialize either in a particular part of the body or on caring for a particular group of people (e.g., chiropractic pediatrics). Today, we are going to take a closer look at a subspecialty of chiropractic that is performed by only about 3,500 doctors around the world. It is called upper cervical chiropractic. We will conclude by showing you how to find a chiropractor near you who specializes in this particular focus. If you’ve ever been to a chiropractor, you probably know the general process. You get some x-rays done, and then you lay on the table and the practitioner bends and twists your spine in particular ways that make popping and cracking sounds. However, upper cervical chiropractors operate in a very different manner. Here are some of the things you can expect when you see an upper cervical practitioner. The focus is just one the neck – In fact, upper cervical refers to just the top two bones in the neck. These are the C1 and C2 or the atlas and axis. They are located at the base of the skull, and they have some very unique functions, which we will discuss in a moment. X-rays are used to take precise measurements – When it comes to the atlas and axis, millimeters matter. As a result, the practitioner will take x-rays of the neck from different angles that allow misalignments to be calculated precisely, sometimes down to hundredths of a degree. Adjustments are gentle – Even within the subspecialty of upper cervical, there is some room for practitioners to use different methods. Depending on the doctor you see, the adjustments will involve a gentle touch or pressure by hand, the use of an adjusting instrument, or the use of a specialized adjusting table. Regardless of the method, the adjustments are low force, which means they are very gentle and safe for patients of all ages and health levels. There’s no popping, twisting, cracking, or jerking motions. Adjustments are provided on an as-needed basis – While the practitioner will not take x-rays at every visit, there are some simple ways to see if the adjustment is holding. For example, the practitioner can check your shoulders while you are standing or your leg length while you are laying down. If things are out of balance, it is a good indicator that the atlas has shifted back since your last visit. As the soft tissue in your neck heals and can stabilize, the adjustments should last longer and longer. You may find that practitioner sends you home without an adjustment sometimes. After all, if your atlas and axis are properly aligned, an adjustment is unnecessary. Depending on your circumstances, you may be able to space appointments out by weeks or even months between check-ups. Either way, you will only get an adjustment on the days that an examination reveals you are out of proper alignment. This is just a brief overview of what makes upper cervical chiropractic unique. But why should you find a chiropractor who specializes in adjusting two particular bones instead of the entire spine? Why Focus on the Atlas and Axis? The atlas and axis are located right at the base of the skull and can have a wide range of effects on the entire body if they are out of place. Consider some of the things that these bones are responsible for and how a misalignment may cause all sorts of issues. Balancing the head – The top bones in the neck balance the skull. If there is a misalignment, the rest of the spine will shift in order to keep your head on straight. This can result in pain and nerve irritation anywhere along the spine. So anything from neck pain to sciatica can actually start in the top two bones of the neck. Protecting the brainstem – The atlas surrounds the vital area where the brainstem meets the spinal cord. Messages from all over the body pass through this part of the central nervous system (CNS). The slightest misalignment can lead to inhibited brainstem function and may result in various chronic health conditions. Facilitating blood flow to the head – The cervical spine is made of seven vertebrae, each of which has tiny loops of bone called vertebral foramen. These provide a clear route for the vertebral arteries to bring oxygen-rich blood to the brain. If misalignments affect this proper flow of blood, it can lead to problems in the CNS and far-reaching effects throughout the body depending on which parts of the brain are getting less oxygen than they need. Find a Chiropractor in Your Area Today! To find a chiropractor who specializes in upper cervical, you can use the search feature on this website. We provide contact information for our preferred doctors. You may find that have to travel a little bit to get to the nearest practitioner, but hopefully, our discussion helped you to understand the benefits of trying this chiropractic subspecialty. A no-obligation consultation may be your first step toward a natural therapy that has been improving overall health and well-being for many people by assisting the body in healing naturally and the CNS in functioning optimally. UCM Social Media Team2019-01-04T09:37:55+00:00December 31st, 2018|Upper Cervical Chiropractic|Comments Off on Find a Chiropractor Subspecialist Near You!